The Canadian poet Anne Carson’s brother Michael died in Copenhagen, Denmark in the year 2000, some 22 years after he had left Canada to avoid going to jail (what for remains unsaid, but he seems to have been involved in dealing drugs). During this time, he had little contact with his sister or their mother: a few laconic postcards, a single letter, at most half a dozen telephone calls to his sister. At the time of their mother’s death, three years before Michael’s death, she had not received a letter from him in seven years, and had started to think he was dead: “When I pray for him nothing comes back”. Carson and her mother stop talking about him. When he calls some six months after the mother’s death, he has, Carson says, nothing to say. His name was Michael, but she tells us that he changed it (his family name at least, it seems). What his new name was remains unsaid. Carson learned of her brother’s death two weeks after it happened, when his widow found her phone number among his papers. Carson then travelled to Denmark, met the widow, learned that his ashes were scattered at sea near Helsinor castle. 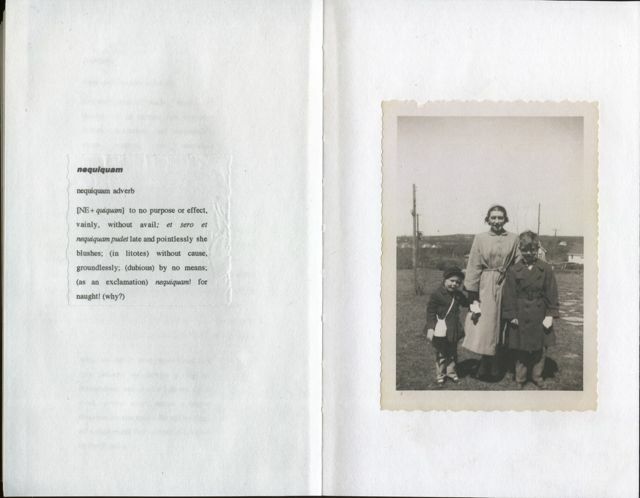 From his widow she received a translation of the text of the funerary service, of the priest’s speech and of the widow’s words, as well as diaries and photographs. 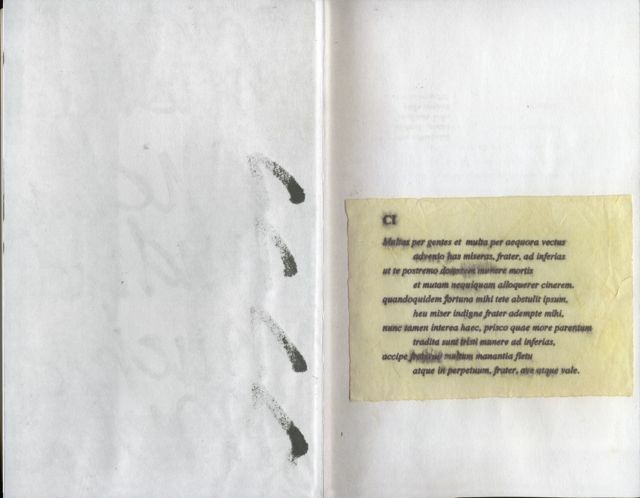 Carson then created an epitaph, she says, in the form of a book, consisting of a word-by-word translation/ interpretation of a poem by Catullus on the death of his brother (poem 101). 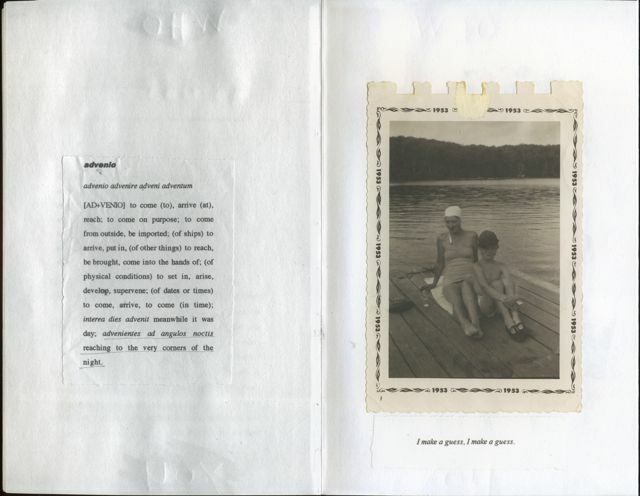 The lexical entries filled the left-hand pages, while the facing pages contained memories, reflections, fragments of letters, photographs and other materials. In an interview earlier this year with The Irish Times, Carson explains that she met a German publisher of art books who proposed to release a facsimile copy of it. Nothing came of it, however, and she only recovered the manuscript three years later, in what must have been 2004 or thereabouts. 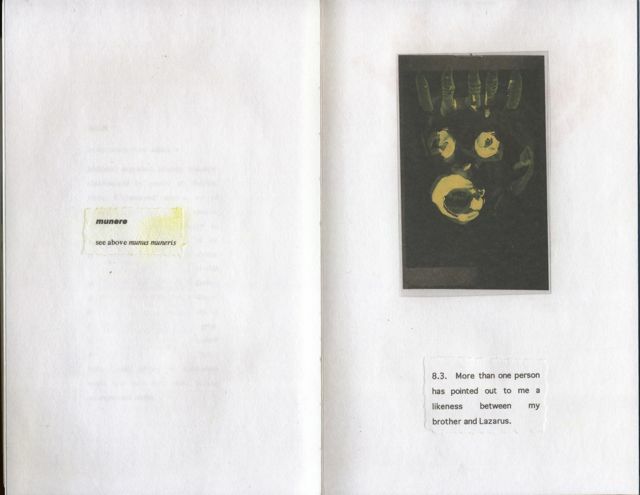 Nox, the book published by New Directions in 2010 and whose cover is shown above left, is, Carson says, a replica of that original book, or at least, “as close as we could get”: an accordion-like assemblage of text and photographs. Nox was well received when it was published last year – see for instance these reviews by Meghan O’Rourke in The New Yorker and by Andrew Motion in The Guardian – but it doesn’t really do it for me, and this, not least because of the utter disconnect between the format of the book and its very contents. Indeed, there could hardly be a greater discrepancy between the weight and voluminousness of the book itself, on the one hand, and the lightness or emptiness of its contents, on the other. The accordion-like text comes in a cardboard box: the entire object weighs a total of 1.2 kg. 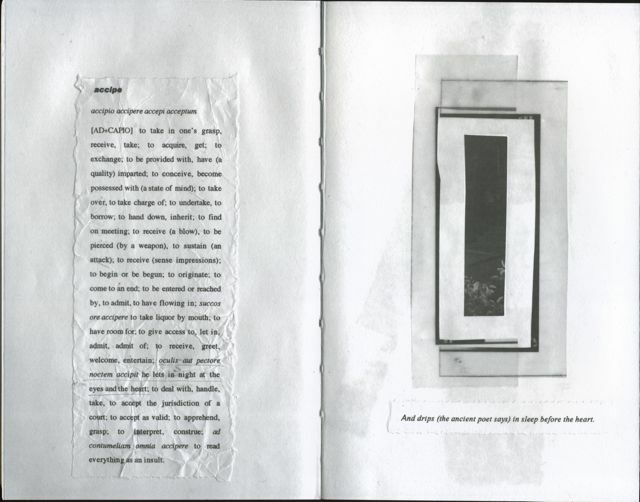 Of course, one could say that it’s more than just a book, that it’s the book as artefact or as object. And Carson is certainly entitled to take pleasure in the fact that it is “un-Kindle-isable”, as she said in the above interview. But that in itself doesn’t make for a good book. Catullus wrote poem 101 for his late brother he had not seen in many years, and he too travelled far to visit his grave. It’s striking that such a short poem – a mere ten lines! – could be at the very core of this weighty object. I liked Carson’s idea of creating a lexical entry for each word of the poem and providing a translation and some context, always related to nox itself, the night. Catullus’s poem is dissected, disassembled and enlarged under Carson’s microscope, as it were, but the trouble is that there is nothing there. Like Nox, Catullus’s poem 101 revolves around an absence, a void that has only been made larger by time and space. However, Catullus, despite the concision of his poem, manages to open it up by concentrating on the funerary service itself, and thus his nameless brother can stand for any dead brother, any funeral rite. 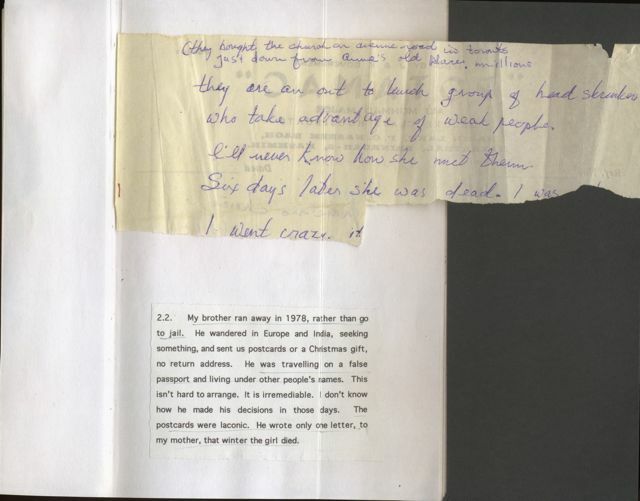 Carson, by contrast, in attempting to provide some fragments of her brother’s life, merely highlights her very real ignorance of his inexistent life, as it were. I realize that this is precisely in part about the difficulty or impossibility of knowing someone else, yet here this is all I get out of it: the sense that she really does not know who or what she is writing about. Neither the extracts from his letters or diaries nor the photographs can fill that void, and neither can the weight of the book itself. 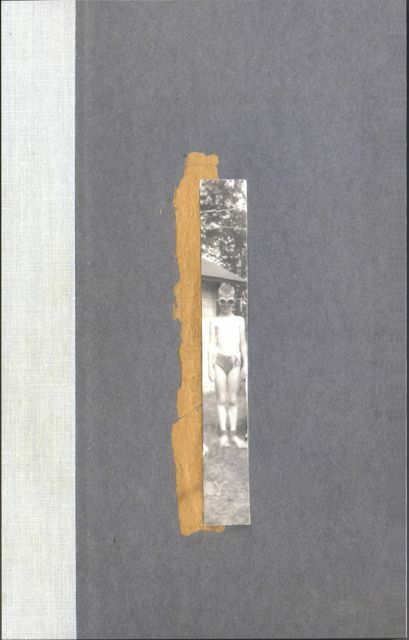 This entry was posted in Anne Carson and tagged Anne Carson, Nox, photography, review. Bookmark the permalink.